To maximize your workplace’s operating efficiency, you need to access both innovative HVAC equipment and reliable service and expertise. At Boerne Air Conditioning Experts, we understand that has a business owner you care deeply about the well being of your employees. It’s critical for your employees to be comfortable and happy so that they not only enjoy working hard for you, but they also perform at the highest level throughout the workday. The Boerne summer heat can be unbearable, and working in a building, office or store without properly working air conditioning can cause stress and lower productivity. If your workplace’s AC systems are failing, it’s time to treat your employees and customers to a new system. Over the years, our team has learned that there are many positive reasons to update your air conditioning system to a more efficient unit. Did you know that air conditioning systems can actually reduce the amount of money that a business spends on energy? If there is a level of cooperation between the employer and employee to not abuse the workplace air conditioner, then maximize savings can be achieved; however, opening windows or even operating a heating system while the HVAC unit is running can massively increase the amount of energy that is consumed. In the absence of an air conditioning system, it’s only natural that employees will open windows and doors in an effort to cool off and allow a breeze to enter from outside. Depending on the nature of the business or workplace, this practice can provide easy access to the building for robberies, or if a particular window or door is accidentally left open overnight, this can raise additional issues. It’s also important to point out the advantages that efficient air conditioning in your workplace provides for both employees and customers. Overheated offices can and will affect your employee’s productivity. Air conditioners keep your employees working harder, saving you money, and making your business more efficient. Additionally, air conditioning allows your employees to work smarter. It has been proven that those working in offices without air conditioning make more mistakes, have shorter concentration spans, and have a harder time solving complex problems. To help your employees stay focused and on task while at work, an efficient air conditioning system can help. Lastly, no one wants to shop at a store or do business in an office that is too hot in the summer. Throughout the summer months, particularly in Texas, an air-conditioned workplace is a big draw for customers walking down the street and clients visiting your business. 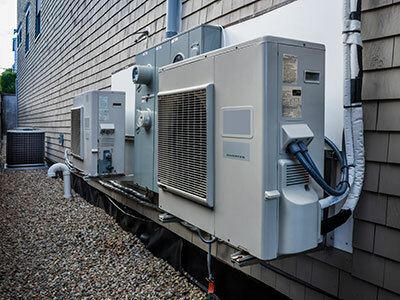 If you’re interested in replacing, or even repairing your existing air conditioning system in your workplace, don’t hesitate to reach out to our professionals at Boerne Air Conditioning Experts. Summer is just around the corner, so don’t allow your employees or your customers to suffer another day with efficient air conditioning. 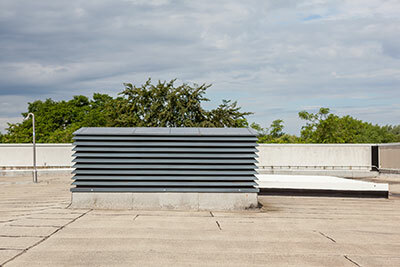 Call our technicians for all of your commercial HVAC needs.